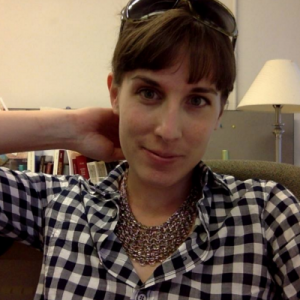 Victoria Burns is a PhD student in the English Department of the University of Iowa. She was a member of the Spring 2017 Next Gen PhD pilot class, and as a summer 2017 Next Gen intern, she is working on several writing projects. Her research interests include twentieth-century American literature, trauma, and visual studies. When I enrolled in Judith Pascoe’s Romanticism class last semester, I had little idea of what to expect. The course, titled Romantic Literatures: Alternative Scholarly Approaches (Next Gen PhD), proposed a process-oriented structure. We would spend the first half of the semester engaging in the familiar graduate-level reading assignments and discussions while also participating in workshops led by Stephanie Blalock and Nikki White, staff members in the Digital Scholarship and Publishing Studio, and by Sarah Bond, Classics professor and mapping expert. In the second half of the semester, we were to focus on our independent research projects, which could take a wide variety of forms. Rather than demanding a lengthy, polished paper characteristic of graduate seminars, Dr. Pascoe asked us to keep diligent notes about all of our literary and digital humanities research efforts, even if many of those notes would refer to eventual dead ends and failures. She would evaluate not only our final projects, but all of our work over the semester. This structure gave us the freedom to take ideas and run with them; to spend hours mastering new digital skills, even if we eventually chose not to incorporate the digital platforms into our final projects; to spend days and weeks researching topics of interest, even if our ultimate research areas diverged from our original focus. At the semester’s end, I turned in an assortment of materials, including two (of four) attempts at an introduction to what I imagined would become a lengthy paper about Frankenstein and weather; an extensive bibliography of works ranging from weather-related documents from the 1750s to Mary Shelley’s letters to contemporary scholarly works; and a digital timeline using the Tiki-Toki platform. It was on the timeline that I merged much of my research—meteorological events, scientific discoveries, and moments from Mary Shelley’s life—in a visual manner. The tool’s visual nature also allowed me to fully appreciate the sheer extent of substantial scientific breakthroughs and remarkable meteorological events that occurred around the time Shelley penned the novel. Because of the class’s format and the emphasis on process over product, I spent most of my time researching and reading, and I didn’t walk away with a polished piece of written scholarship. I can understand how people might see this as a limitation, especially those of us who need to submit a 15-page paper for qualifications. For me, though, this course was an opportunity to study Frankenstein in depth, even though I knew so many scholars had already studied it. The structure also kept me from feeling completely hopeless when I realized in early April that existing scholarship already covered essentially everything I found noteworthy about the novel’s dramatic weather scenes. I don’t get the impression that process-oriented courses are intended to replace the conventional graduate seminars that require students to submit lengthy pieces of writing. However, I do believe that Dr. Pascoe’s Romanticism course and others like it can create valuable spaces in which students are encouraged to freely explore areas of interest without being overwhelmed by thoughts of a final final product. Furthermore, the writing assignments we completed in Dr. Pascoe’s course—ranging from three-minute thesis presentations to cover letters pitched at job opportunities outside of academe—allowed us to hone writing skills specific to shorter formats, formats often geared toward broad audiences. Since I entered Iowa’s English PhD program expecting to pursue an alt-ac career path, I welcomed the opportunity to develop skills that I anticipate will be especially relevant for my future career. As the Next Generation PhD grant proposal notes, graduate programs often emphasize longer writing forms, including the dissertation and seminar papers, at the expense of shorter forms. I appreciated the chance to practice condensing and repurposing research findings to suit various formats and audiences, and I believe this practice will be useful for my future work. As a grateful recipient of an NEH Next Generation PhD summer internship, I hope to use my summer funding to continue developing my writing skills, this time returning to the longer writing form typical of graduate work: the journal article. Though I initially considered finishing and polishing the paper I started in Dr. Pascoe’s class, I’ve instead chosen to focus my attention on a seminar-length paper I produced for another graduate course, one that better aligns with my interest in twentieth-century literature. That’s not to say that I am overlooking the skills I gained and the tools I discovered in the Romanticism course. I expect that I will regularly return to Joseph Williams’s Style (which was included in the class syllabus) as I heavily revise my seminar paper. Williams provides useful tools and exercises for producing stronger writing, and because he focuses on everything from sentence structure to overall organization, his lessons will be applicable to my writing in any form. In my ideal scenario, I’ll walk away with a piece of scholarship of publishable quality by the end of the summer, but I hope to keep the Next Gen PhD’s process-oriented foundation in mind throughout my internship. Rather than concerning myself only with the pages I have to show at the summer’s conclusion, I hope to consciously cultivate new research and writing skills, acknowledging that these skills will be of value in a variety of future endeavors. Don’t get me wrong—I love paper and ink. I am of the strange species that still takes notes in notebooks, annotates paperbacks, and loves the satisfying sense of completion that follows stapling a freshly printed essay. As an English PhD student here at the University of Iowa, I was—like many doctoral candidates—tasked with the preparation of a rather infamous print document: the Comprehensive Exam Portfolio. The Comps Portfolio—referred to by my fellow English grad students as “the port,” “the port to doom,” and “the fartfolio”—is an approximately 100-page compilation of written work meant to profile your expertise and prepare you for writing the dissertation. The portfolio is comprised of various parts—a review essay, an academic article, annotations of critical and theoretical texts, syllabi—that are ideally supposed to talk to each other and point towards the student’s dissertation. I specialize in nineteenth-century sound, listening, and oral reading, and as I began to prepare for my exam, I realized print was perhaps not the best medium for my portfolio’s content. I wanted to link to audio and audio-visual content, and—as someone interested in oral exchange—I wanted the different parts of the portfolio to converse with each other more explicitly. I completed a print version of my Comprehensive Exam Portfolio, but I also compiled an online version. I constructed this online portfolio using Scalar, a digital humanities publishing platform run by the Alliance for Networking Visual Culture at University of Southern California—Los Angeles. asks users to follow self-guided lines of inquiry through thematically linked content. Take, for example my special interest annotations. The Scalar platform allowed me to not only place annotations in multiple categories, but also visualize the relations between annotations and their thematic groupings (Fig. 2). Porous: By this, I mean that, by looking for ways to link to outside content (YouTube videos, other websites, online archives), I came to more fully appreciate how others’ ideas as well as my own are very much affected by and affecting happenings within and beyond the academy. That being said, my online portfolio had its limitations. Since the URL is public, I could not include my article, which I hope to eventually publish elsewhere. My exam committee rightfully took issue with some of the ways I categorized, connected, and linked information. And…since I had to create both a print and an online portfolio, it took a lot of extra time. Even so, I encourage departments and students—especially those interested in media studies—to experiment with different portfolio platforms. An online portfolio just may lead to fresh lines of inquiry and conceptual connections that are—believe it or not—even more satisfying than staples. 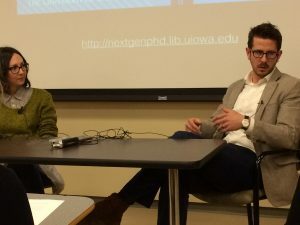 As has often been the case over the course of the University of Iowa Next Gen PhD planning year, the advice our guest experts offered ran contrary to the advice graduate students often receive. Our guests were Danielle Dutton, Assistant Professor of English at Washington University, novelist and founder of Dorothy, A Publishing Project, and Eric Zimmer, Senior Historian at Vantage Point Historical Services, Inc.
We brought Dutton and Zimmer to campus to participate in a symposium focused on the CV and resume, miniature autobiographies which distill life experience, and which are being supplemented and enhanced by new kinds of professional self-representation (the personal web page, the LinkedIn caption), as well as being transformed in online formats. We wanted Dutton and Zimmer to help us think about the opposed values of comprehensiveness and compression as they relate to the CV- and resume-writing process, and also to brainstorm about ways in which students might be encouraged from the beginning of their graduate school education to craft different forms of self-representation for different kinds of professional opportunities. Our guests spoke about these things, but they also, surprisingly, spoke with particular emphasis and in one voice about the value of saying yes to wayward opportunities. Dutton and Zimmer each described time-demanding extra-curricular activities they pursued as graduate students, commitments that turned out to be directly relevant to their ultimate career paths, but which, to a cautious academic advisor, might have looked like distractions and diversions from the dissertation. I suspect I was not the only member of the audience who recalled a moment when he or she had exhorted graduate students to keep their eyes on the prize, to stay focused on research and writing during the limited amount of time during which they were not teaching or preparing for teaching. But Dutton described her graduate student self as a bulldog who demanded to take extra classes, and who happily took on substantial editorial duties at a literary journal. Zimmer, whose dissertation advisor supported his “diversions,” recalled his participation in the UI History Corps, a graduate-student-led digital and oral history project that emphasizes “how history and the humanities affect everyone’s everyday lives.” In Zimmer’s view, the public history skills he developed in his work with History Corps prepared him for his current career. Zimmer spoke about advice he’d ignored. “Don’t write book reviews,” he recalled being told, but he counted his ill-advised book review writing as training for his current job, in which he writes for varied audiences and has to communicate in pieces of varied length, for example, in the web site his company created for the Tufts University School of Dental Medicine. When inquiring audience members asked Dutton and Zimmer how they decided which add-on pursuits to follow, Dutton said she always tried to make decisions with integrity, based on what she really wanted to do, a sentiment live-tweeter Katie Walden suggested could serve as an apt slogan for a Next Gen PhD bumper sticker. “I hate CVs,” Dutton exclaimed at one point, calling the CV a weird and awkward distillation of one’s being, but both she and Zimmer talked about how they came to a new understanding of CVs and resumes when they read them as members of hiring committees. Reading a CV is a subjective thing, they came to realize, and they recommended that job seekers use their application materials to tell a story about themselves. “A CV [or resume] needs to communicate that you are exceedingly competent and exceedingly versatile,” one participant noted. Zimmer suggested that graduate students look for peripheral opportunities to expand their skills and experience, and that they reverse-engineer their graduate student experience so that their training leads to their desired outcomes. He cautioned that faculty should be open to this kind of graduate student initiative without insisting on it by means of added requirements. Dutton emphasized that she’d benefited from good luck, but that this luck was partly predicated on hard work. She suggested that an ideal job candidate should demonstrate competency and versatility, but also a kind of emotional agility that does not typically get taught or cultivated in PhD programs. Dutton’s and Zimmer’s were the last of a series of stellar guest participants in our Next Gen PhD symposia—many thanks to all of them. In our final symposium (scheduled for Wednesday, May 3, 2:00-3:30, Main Library, Studio classroom), we will be discussing this semester’s pilot version of a Next Gen PhD writing- and DH-intensive methods class. The Next Gen PhD planning committee met this week to prepare questions for our upcoming CV/Resume Symposium, at which our expert guest panelists, Danielle Dutton and Eric Zimmer, will talk about their career paths. Danielle Dutton (PhD in English, University of Denver, 2007, MFA, School of the Art Institute of Chicago, 2002), is the author of the highly-regarded historical novel Margaret the First, which takes as its inspiration the life and work of Margaret, Duchess of Cavendish, the seventeenth-century writer and intellectual who was the first woman to be invited to the Royal Society of London. After receiving her PhD, Dutton worked as a book designer at the Dalkey Archive, and she founded the publishing project Dorothy, which publishes two works a year, mostly by women, in beautiful paper formats. 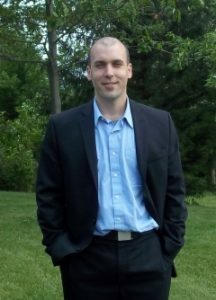 Eric Zimmer (PhD in History, University of Iowa, 2016), is a Senior Historian at Vantage Point Historical Services, Inc. and a Research Fellow at the Center for American Indian Research and Native Studies. Zimmer’s dissertation, “Red Earth Nation: Environment and Sovereignty in Modern Meskwaki History,” completed under the direction of Professor Jacki Rand, received the Rachel Carson Prize for Best Dissertation from the American Society for Environmental History. He is at work on a biography of a prominent Jewish politician and businessman on the Northern Plains. In our Next Gen grant proposal, we talked about the CV and the resume as miniature autobiographies that distill life experience. As the committee composed questions for Dutton and Zimmer, we contemplated all the varied forms in which graduate students might be called upon to represent their personal attributes and aspirations. We were also interested in learning more about how Dutton and Zimmer manage to remain true to their intellectual and creative passions. 1) What led you to pursue particular career opportunities (and perhaps not others) after receiving the PhD? 2) Please talk about your research and writing practices. 3) How have you framed yourselves for different employers? What kinds of advice do you give your current students or colleagues about this task of framing? 4) What kind of support (if any) did you receive as a grad student in shaping your CV or resume for the first time? How does your self-representation vary depending on the professional venue? 5) For Danielle: How did you go from a PhD in English and Creative Writing to a job as a book designer at Dalkey Press? For Eric: How did you arrive at your job as a corporate historian? 6) Please give us a glimpse of a day in the life of a small press founder and a public historian. 7) Please talk about your online self-presentation, the extent to which you curate a web site, Wikipedia page, or other modes of highlighting your interests and skills. 8) What are your strengths or interests that don’t get conveyed in your CV or resume? How do you communicate them? 9) Are CV/resume categories changing? Note, for example, the highlighting of where one’s writing is being assigned on syllabi. Is this new? Are there other new categories? 10) How do your imagine your future career path? 11) How did you maintain a confident sense of your scholarly and creative identity at moments of transition or when your career path seemed precarious? 12) If you could redo your graduate education, what would you change? What changes to grad training might be suggested by your experiences? Jennifer Teitle is Assistant Dean for Graduate Development and Postdoctoral Affairs, University of Iowa. Jen’s Twitter handle is: @jteitle. Spring in Iowa City—flowers blooming on the Pentacrest, froyo for lunch, anxious final-semester graduate students reconsidering their career options. For humanities students in particular, definite commitments to employment can be a struggle at the end of graduate school. Career stress is compounded in this last leg as tired dissertators face additional personal and financial strain. By March, some students have chalked up 50 or more failed academic job applications. This is decidedly not the easiest season in which to self-assess or brainstorm transferable skills. So as newly-minted PhDs blink hard against the bright sun outside the academy, they are often thinking not about the next opportunities, but rather about the last ones, the ones they lost. They wonder what else they could have done, how anyone striving so hard to be good could fail to achieve that goal. They can’t see the big picture. We can, and we’ve known many brilliant candidates who couldn’t land tenure-track jobs. But myths persist, and I meet students every spring who feel like disappointments. Knee-deep in a March snowstorm, it’s hard to believe spring is right around the corner. For graduate students of all stripes, spring offers the perfect moment to reframe the way they look at their hard-earned degrees, their careers, and themselves. A moment to pause and reflect. Then, when opportunity knocks, they’ll be ready to tell a new story when they open the door. 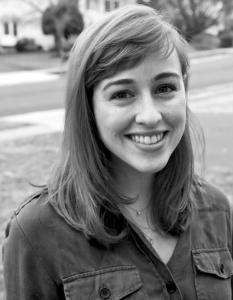 Katherine Walden, a PhD Candidate in the American Studies-Sport Studies program and is also enrolled in the Public Digital Humanities Certificate. 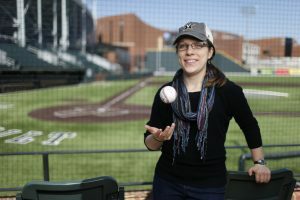 Her research explores race/ethnicity and gender in representations of baseball in American popular culture, with a particular focus on baseball and music intersections. 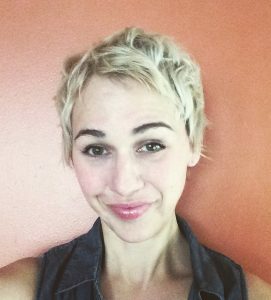 She also teaches a self-designed Rhetoric of Sport curriculum in UIowa’s Rhetoric Department. Her Twitter handle is @KWaldenPhD, and she has an online presence at www.kwaldenpond.wordpress.com. On Thursday, March 2, UIowa’s Next Gen PhD project brought Slate columnist and German PhD Rebecca Schuman to campus to join with our own Classics Department’s Sarah Bond for a panel on blogging and public writing. I had the opportunity to engage with Rebecca and Sarah throughout the day, from a grad student lunch to an ill-fated podcast recording session with Sarah (that tragically won’t see the light of day because sometimes remembering to be sure I’ve actually pressed “record” is hard), followed by the public flipped Q&A. Build versatility, conciseness, and precision in your writing skills. Let your training as a humanities scholar shape your writing as you make sense of particular events or trends. However, a blog post isn’t the condensed version of a seminar paper. Most graduate students are being trained to communicate specialized knowledge to a specialized audience. Jargon isn’t the enemy, but imagine you are writing for a general education undergraduate audience. Not your Department’s upperclass majors—rather, the freshmen and sophomores who need convincing that your discipline’s way of seeing the world matters. Find a way to produce consistent, quality output for a specific audience. Developing an audience and accumulating a body of work requires years of consistent output and quality content. Trying to build that while managing grad school teaching, research, and coursework loads can be daunting. Start with micro-blogging on a platform like Twitter. Find an online academic community or group of scholars/writers who are working in your area. Many academic organizations have an online presence with a blog; see, for example, the blogs of the American Musicological Society or the North American Society for Sport History. The African American Intellectual History Society’s Black Perspectives site gives graduate students the opportunity to be in conversation with established scholars in a vibrant, thriving online blogging community. I’ll be writing a post on Major League Baseball’s Opening Day in a couple weeks for the Sport in American History group blog. Have a network and don’t be afraid to use it. Sarah Bond’s first piece in the New York Times was published after she reached out to a faculty mentor who wrote for the Times. Her evolution as a public historian was shaped by other classicists she identified as role models for the types of writing and public engagement she wanted to cultivate. Rebecca Schuman’s “Thesis Hatement” piece appeared in Slate after she reached out to a Slate editor. Find the people further down the line who are doing what you want to do. Comb their resumes/CVs, make connections, and be willing to invest in those relationships. Avoid predatory or exploitative publishing models. Recognize that freelance blogging can provide some financial compensation—but likely not enough to support you full time. The peer-reviewed academic publishing model assumes writing and research labor is being undertaken by scholars who are receiving compensation for their work from an employing institution. Blogging when research and writing are part of your job description, subsidized by your employer, is a unique set of circumstances. I appreciated Rebecca’s clarity in this area. She doesn’t read, edit, or comment on pieces for free. She wrote a piece in the Chronicle on “The Academic Book as Expensive, Nihilistic Hobby.” Talk to a professional faculty member in a journalism department or someone you know who actively freelances. Start to figure out the business side of publishing. Learn the etiquette. Know what practices and publications to avoid. Detailed advice, thoughtful advice, given by those with a lot of experience pursuing these types of writing opportunities. I’m looking forward to applying it when writing my own baseball-related blog post. If you came to the site wanting a recap of the Next Gen blogging event, you have now reached the point when you can stop reading, close the browser window, and go watch Lin-Manuel Miranda do carpool karaoke with James Corden. Maybe it was the midterm fog that always seems to set in before Spring Break. Maybe it was the stress of a hectic week overshadowed by my own looming comprehensive oral examination (now successfully DONE). Whatever the full reason, trying to recap and process this Next Gen event has been hard emotionally, mentally, and intellectually. Interacting with Schuman and Bond was a study in contrasts, for me encapsulated in a moment from the Q&A. Judith Pascoe asked what the panelists would do differently if they could redo their graduate education. Rebecca immediately responded with something along the lines of “I wouldn’t do it,” expanding on her answer to talk about the need for graduate students to get real information about job market prospects and legitimate, substantive support for finding alternate paths. In the graduate student lunch, Rebecca talked about how her graduate school experience required her to shut down or set aside parts of what make her who she is. In the lost podcast recording session, Sarah talked about her rich formative graduate school experiences, and about mentors who were supportive when her advisors and colleagues didn’t support her public writing. For Schuman, a negative post-doc experience and unsuccessful prolonged academic job search has led to her annual practice of deconstructing and grading MLA job ads. Bond went from dissertating at UNC to a year-long Mellon Junior Faculty Fellowship at Washington and Lee, after which she was hired for a tenure-track position at Marquette University before taking up her tenure-track position at Iowa. A study in contrasts. These are two people who had very different graduate school experiences and experienced graduate school (and academia) very differently. From the conversations I’m having with other graduate students, I think coming face-to-face with someone like Schuman can be terrifying. Many of us want to believe we’re going to be Sarah Bond, but we know somewhere deep down that the job placement data in our fields suggests we’re more likely to have a job market experience like that of Schuman. Both Bond and Schuman talked about the power and influence of mentors and role models, positive and negative. I’m grateful for the Vanderbilt University faculty who were brutally honest with a naïve PhD-bound undergraduate senior four years ago. They talked about tiered hiring. They talked about the real academic job market. They were as transparent as they could be about the challenges and pitfalls of graduate school. I wish every college senior with an inflated GPA and decent writing chops could receive the same level of candor. I came into graduate school with the rose-colored glasses mostly already off. Emotional support and self-advocacy matter. I’m grateful for an American Studies department and advisor who are at least somewhat open to my zig-zagging path through grad school. Hearing about Rebecca Schuman’s graduate school experience, I was reminded that openness and receptivity aren’t universal. I’d like to believe the advocacy work that initiatives like the Next Gen PhD project are doing will help shift the conversation and expectations for future graduate students. I might hope that future Next Gen PhD students are provided with support, resources, and community, rather than being expected to figure it out and seek it out on their own. Speaking from experience, trying to build a new infrastructure and communicate alternate goals can be stressful and exhausting, even when faculty are receptive. All of this is to say that being realistic matters. I’ve heard Sarah Bond talk in other forums about how her Mellon fellowship was an entry point back into an academic career. Without that experience, her digital and technical skills would have likely moved her toward the alt-ac market. Schuman’s point about getting real job placement information is well-taken, but at some level graduate students have to internalize and personalize the reality of those job placement numbers. “Special snowflake syndrome” is a great coping strategy but a horrible professional development strategy. In my first semester at Iowa, I saw the experiences dissertating students in my program were having on the academic job market. I found myself at the Grad College’s “The Malleable PhD” event, featuring the Lilli Research Group’s L. Maren Woods. 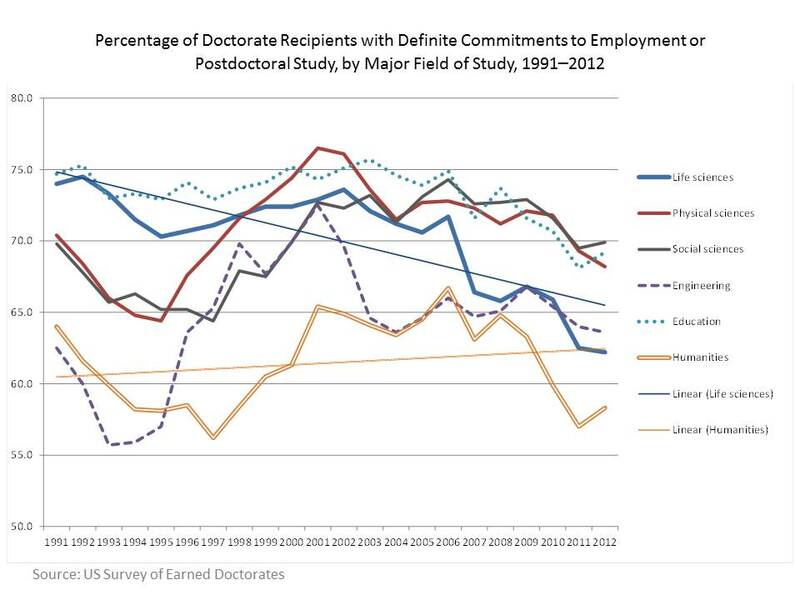 It was the Next Generation PhD before we had a Next Generation PhD, and made the degree seem like more than an unemployment death sentence. Transferable skills. Converting CVs to resumes. Identifying skill sets and career sectors. Seeing the PhD as being about skill acquisition and professional development, as well as about subject specialization and research training. Yes, those are all buzzwords, but I’ve got to believe somewhere in there is a path through graduate school that leads toward sustainable, feasible careers for graduate students. Don’t be dismayed or unsettled by Schuman’s contrarian perspective. Visit the Versatile PhD website. Go to the Graduate College’s Open Doors Conference in April. Start to broaden the horizon toward which a PhD can lead. Stephanie M. Blalock is Digital Humanities Librarian at the University of Iowa and Associate Editor of the Walt Whitman Archive. She artfully uses Twitter to spread the word of new Whitman discoveries. Her twitter handle is @StephMBlalock. Dr. Ivan Kreilkamp’s “flipped lecture” on the use of Twitter in academia rightfully depicted the social media platform as a very public medium that at once has the potential to connect graduate students to scholars in their respective fields and–for better or for worse–to stand as a perpetual archive of the personal opinions they choose to share at any given moment. On the one hand, as Krielkamp and audience members pointed out, Twitter facilitates networking and community formation, allowing scholars and students to participate in social activism, publicize their own work, amplify the efforts of others, and benefit from having their efforts amplified in return. In an academic climate in which graduate students are increasingly and astutely advised to be entrepreneurial, to create professional online profiles in numerous online venues, and to make connections in and beyond their chosen fields long before tackling the academic job market, Twitter and the act of “tweeting” can play a key role. On the other hand, Kreilkamp and attendees were also right to advise graduate students and, for that matter, anyone in academia, to exercise caution and to think carefully about the implications of rapidly firing off tweets in the heat of the moment. None of us wants to become famous (and jobless) in the way of Justine Sacco after what the New York Times called “one stupid tweet.” But listening to Kreilkamp and his audience pushed me to think about how graduate students and faculty have used or garnered publicity on Twitter, and, in this post, I want to briefly offer current graduate students a few examples. In 2010, Dr. Jessica Lawson, then a PhD candidate in English at the University of Iowa, created the Twitter persona “Feminist Hulk”; the account’s profile picture features Hulk holding a copy of Judith Butler’s Gender Trouble. Feminist Hulk’s tweets are commentaries on gender and feminism and have captured the attention of the Ms. Blog, Salon, and NPR, among other media outlets. During the government shutdown in 2013 when WIC (Women, Infants, and Children food and nutrition service) faced uncertain funding and reduced services, Lawson created an online resource to help families find formula and baby food, and turned to the 74,000+ followers of her Feminist Hulk account to help. In February 2017 and April 2016, Zachary Turpin, a University of Houston graduate student, saw his research go viral, both in print and on online news sites, with his work shared widely on both Twitter and Facebook. Turpin’s most recent discovery is a lost novel by Walt Whitman entitled Life and Adventures of Jack Engle. Turpin had already uncovered “Manly Health and Training,” a previously unknown journalistic series by Whitman. The Walt Whitman Quarterly Review (WWQR, @WaltWhitmanQR), an open access online journal, published both the novel and the series in full, as well as introductions to each work by Turpin. The discovery of Jack Engle was covered by The New York Times, as was that of “Manly Health and Training.” Articles on these discoveries were published on online news sites in Germany, Estonia, Slovenia, Romania, Finland, and Israel, among other countries, and the news was tweeted and shared repeatedly in the days following the publication of the works in WWQR. As of March 2017, “Manly Health and Training,” has been downloaded more than 28,000 times from the University of Iowa’s digital repository, while Jack Engle has more than 29,000 downloads. Turpin’s introduction to the health series has more than 6,500 downloads, while his introduction to Jack Engle has been downloaded more than 4,000 times. In each of these cases, Turpin’s research appealed both to academics and to Whitman’s large popular following, and the publicity generated by Twitter and Facebook posts helped to increase the number of people who encountered his scholarly work and Whitman’s lost publications. In October 2016, the Chronicle of Higher Education interviewed William J. Richardson (@HoodAcademic), a PhD candidate in Sociology at Northwestern, who started the #TheseAcademicHands hashtag, which called for Twitter users to tweet out examples of racism and microagressions in academia. The numerous responses are now collected in a “Twitter Moment” that documents instances of “Racism and White Supremacy in the Classroom.” Among the articles and experiences tweeted with this hashtag was the recent story of Suffolk University sociology major Tiffany Martinez, a Latina student, who reported that her professor had returned an essay, circled the word “hence,” and told her “This is not your language,” in addition to writing, “‘Please go back & indicate where you cut & paste,’” implying that Martinez had plagiarized the paper. Martinez’s blog post about the incident went viral in its own right. What does a replicable model of the successful use of Twitter by graduate students look like? Can or should graduate students draw search committees’ attention to their use of Twitter for engaging in academic conversation, for making connections to scholars within and beyond their fields, and for demonstrating the public appeal of their academic research? And how much weight, if any, should such use of social media be given in hiring decisions for academic or even alt-ac jobs? How can graduate students and faculty be given credit for public engagement via Twitter or other forms of social media? Should this be part of a graduate student’s portfolio? A faculty member’s tenure portfolio? Or does such an effort to draw attention to social media use risk becoming a conversation solely about the numbers; will we be measuring success on Twitter by giving credit for number of tweets, number of followers, and number of retweets, or for less quantifiable types of impact? Is the small chance of going viral, of being visible and recognizable on Twitter, worth the risk of being publicly shamed or losing a job opportunity as the result of one all-too-hastily-typed tweet? History PhD candidate Mary Wise, American Studies PhD candidate Katie Walden, and Classics PhD candidate Sara Hales contributed to this post. Katie and Sara’s Twitter handles are @kwaldenPhD and @saralynnhales. In this final mid-year assessment of Next Gen activities accomplished thus far (the first two are here and here), three participating graduate students, after polling their peers, list priorities and future goals. The Next Gen PhD planning committee met this week to prepare questions for our upcoming Blog Symposium, at which our expert guest panelists, Rebecca Schuman and Sarah Bond, will talk about writing for a variety of audiences. 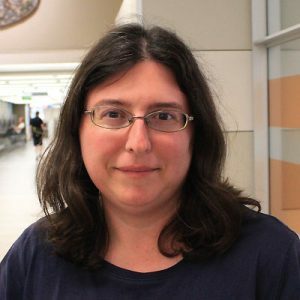 Dr. Schuman, who received her PhD in German from the University of California-Irvine, has written for for Slate, Chronicle of Higher Education, and The Awl. 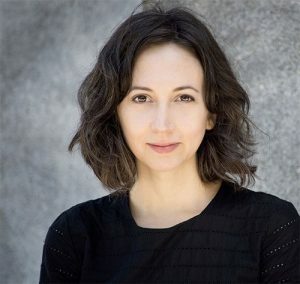 She is the author of Kafka and Wittgenstein: The Case for an Analytic Modernism (Northwestern University Press) and Schadenfreude, A Love Story (Flatiron Books), in which she vividly chronicles her engagement with the German language, her pursuit of the PhD, and her dispiriting academic job search. 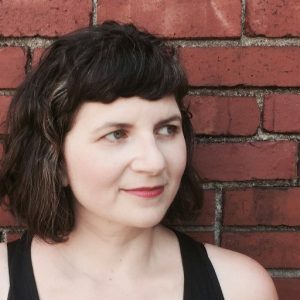 Schuman left academia in 2013 to become a freelance writer; she casts a critical gaze on PhD training in “Thesis Hatement” and “The Academic Book as Expensive Nihilistic Hobby,” among other writings. Her Twitter handle is @pankisseskafka. Dr. Bond, who received her PhD in History from the University of North Carolina, writes on late Roman history, epigraphy, late antique law, Roman topography and the socio-legal experience of ancient marginal peoples. She has published Trade and Taboo: Disreputable Professions in the Roman Mediterranean (University of Michigan Press). She writes the History from Below blog and a column for Forbes. She has published pieces as varied as “Unlocking the Dark Ages: A Short History of Chastity Belts” and “Torture Has Never Been an Effective Means of Information Gathering–Just Ask the Romans.” Her Hwitter handle is @sarahebond. 1) Could you tell us about differences in your writing process as you write for different audiences, or about how your prose style changes as you write for different audiences? 2) At what point in your graduate career (or after) did you first think about blogging? 3) What opportunities has your blogging afforded you? 4) How has your blogging influenced your more traditional scholarly writing? 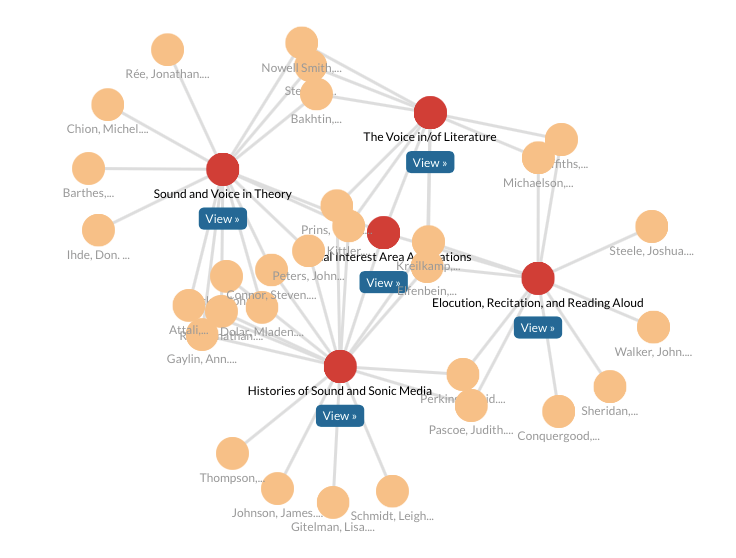 How has your traditional scholarly work influenced your blogging? 5) How have you built an audience for your work? Do you deliberately court controversy? 6) How did you break into being a columnist for a national journal? 7) Would it be fair to suggest that blogs are emotive, while academic writing is emotionally withholding? In what other ways would you contrast the difference between the blog and the scholarly article? 8) How do you choose to engage with (or cordone off) comment writers? 9) What is the relationship between your blog or column writing and your other social media engagement? 10) How/why do certain of your posts or columns break out or become viral? 11) If you could redo your graduate education, what would you change? What changes to grad training might be suggested by your experiences? 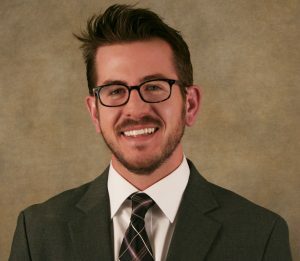 Matt Gilchrist, a Lecturer in the Rhetoric Department, is Director of the Iowa Digital Engagement and Learning Initiative (IDEAL), which supports students and instructors who use new media in course assignments. The University of Iowa’s Next Gen PhD planning initiative, The Newly Composed PhD, is an important part of the growing acknowledgement that humanities PhD graduates thrive in diverse career tracks not bounded by academia. The NEH grant program that supports Iowa’s initiative asserts that “Humanities knowledge and methods can make an even more substantial impact on society if students are able to translate what they learn in doctoral programs into a multitude of careers.” How do we prepare PhD students to make such a substantial impact? The NEH wants us to “transform scholarly preparation at the doctoral level.” At Iowa—the institution that proudly calls itself The Writing University—the transformation begins with writing. The Newly Composed PhD asserts that the understanding derived from study in the humanities should be composed in many forms. The scholars who took part in last year’s symposia hosted by The Newly Composed PhD demonstrate that much can be learned by meaning-making in varied modes. Dr. Amanda Visconti composed her dissertation, titled How can you love a work if you don’t know it? : Critical code and design toward participatory digital editions, as a hybrid of digital edition, white paper, and hypertext. But such a stripped-down description doesn’t do justice to the complexity of the project, the composition of which involved software design, database design, interface design, graphic web design, and more. Along the way, Visconti tweeted, blogged, created data visualizations, and spoke on a variety of digital humanities topics. As her dissertation shows, Visconti has discovered new possibilities for inquiry through the process of composing in many forms. Our Vice President for Research and Economic Development, Dan Reed, pointed out in a recent blog post on this site that writing a traditional book-length dissertation is commonly understood as the means of documenting and communicating ideas privileged in the humanities PhD, but that this format isn’t very effective at spreading those ideas. Dr. Reed writes that, if the form limits the reach of important ideas, then scholars should look for another medium—one appropriate to the message. This semester, Dr. Reed will visit a course I teach for graduate students in the sciences called “Science Communication in the Digital Age.” Much like the NEH’s support for The Newly Composed PhD, the NIH provided grant funding that helped to launch this course in order to prepare scientists for careers beyond the academy. The funded project at Iowa, directed by Professor Dan Eberl (Biology), focuses on communication skills and rhetorical forms. The course acknowledges the importance of addressing audiences outside of academia as crucial for achieving the NIH’s goal of “broadening training to better prepare students for research careers in a variety of venues, such as industry, government or entrepreneurial enterprises.” The support of both federal grant agencies responds to a long-standing need for pragmatic communication experience in the new media landscape, extending and complementing the efforts of those who seek and offer such training at the graduate level. If the humanities is to move beyond the “write only” paradigm Dr. Reed calls “one of the biggest challenges we face in academia,” humanities students will need courses—corollaries to Science Communication in the Digital Age—specifically targeted at their needs. The write only paradigm cannot be justified amidst the range of rhetorical forms now readily available to scholars. These new forms—or new media—require a new approach to the fundamentals of composition. No longer can we assume that fluency with the conventions and grammars of alphabetic text represents the fundamental or most significant means of developing and sharing ideas. Instead, communicating ideas now requires awareness of image and visual design, sound and audio design, code and software design, data and database design, and etc. Humanists remain writers, but we are called to write and. Scholars and teachers in the field of composition use the term multimodal composition to describe, analyze and assess texts that incorporate writing and other modes of representation. Thinking in these terms makes clear that writing is one of many overlapping semiotic resources available to a rhetor. Meaning-making is a central goal of the humanities, and ignoring compositional modes other than alphabetic text cuts us off from many kinds of meaning-making and discoveries. This semester, Professor Judith Pascoe offers a course that allows PhD students in the humanities to practice with digital humanities methods and multimodal composition. 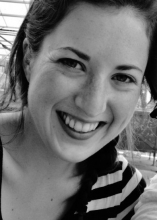 Pitched as a “pilot model of a humanities interdisciplinary methods course,” this seminar offers the benefits of such courses extolled by Katie Walden in her recent post on this site. Aligned with the goals of the Next Gen PhD, the course “[a]ssignments will be aimed at helping students showcase their research in a variety of formats that could include the blog post, the grant proposal, the data visualization, the network analysis, the map, the 3-Minute Thesis, the podcast, the PechaKucha, the illustrated narrative, and the tweet.” The course offers practice and training in genres—other than linear, alphabetic text—that are relevant to humanists but too often ignored in humanities education. As we have seen in the first semester of The Newly Composed PhD, forms other than the manuscript have been crucial to the scholarship and integral to the career success of the scholars who have visited our symposia. Visconti, Sousanis, and others have extolled the benefits of taking ideas from one semiotic mode into another. All agree that new and important ideas emerge from multimodality. So, in addition to the likelihood that scholars who tweet, speak, draw, code, map, record, and design will be more successful in career searches within and beyond the academy, humanists should consider what important insights are lost when we over-emphasize one modality. The humanist endeavor depends on leaving behind the write only paradigm and engaging the possibilities of write and.